Byrne Homes creates and constructs bespoke architecturally designed homes and custom interiors. From concept, through design and construction to completion, our aim is always to exceed our clients’ expectations. We craft designs influenced by your vision, desires and the environment in which it all takes place. DESIGNED WITH LISA, BUILT WITH JOE, JUST FOR YOU. Award winning Master Builders, Byrne Homes is a small but passionate building company who love what they do. Joe and Lisa will work with you directly and personally guide and support you every step of the way to ensure a seemless and enjoyable experience. Joe brings with him a wealth of building and project management experience, and is passionate about the craft of building. Lisa adds her design knowledge to the mix and will provide advice on all aspects of design throughout the process. Clients value our honest approach and ability to think outside the box, push boundaries and our meticulous attention to detail. We believe that the individuality of you and your site requires a unique and personalised approach and together we can create a home for you that you will not only love but will complement the way in which you live. At Federation Homes we’re passionate about great design and quality building. Building a new home is a special experience and one that we aim to make as easy, enjoyable and stress-free as possible. At Federation Homes we offer complete design flexibility as we believe your dream is unique and your home should be too. We have a wide range of floor plans you are welcome to use, or you can customise them. Our team of highly experienced architectural designers can also work with your budget and ideas to create an original one-off design just for you. And the good news is our customised designs and extra attention to detail won’t push up the price! Federation Homes offer unbeatable value for money and the highest standards of quality, materials and workmanship. We are Master Builders and all our homes come with a transferable 10 Year Master Build guarantee. We build homes of all sizes – from minor dwellings through to high-end executive homes with all the bells and whistles. Our dedicated staff and contractors have decades of experience in the building industry and will work closely with you to deliver the very best result. 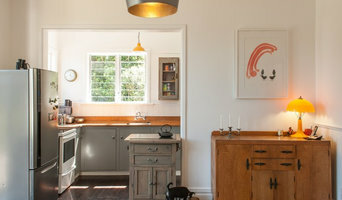 Smith & Sons are quality builders who specialise in home renovations from concept to completion. Our network of professional, quality builders are helping people in locations throughout New Zealand and Australia to transform their homes. Our specialist offices provide a complete professional renovation solution coupled with exceptional service at all levels. Smith & Sons have hand-picked only the best qualified builders to own and operate local Smith & Sons offices - combining their years of building expertise with the Smith & Sons way of doing business to offer their customers an exceptional renovation experience. 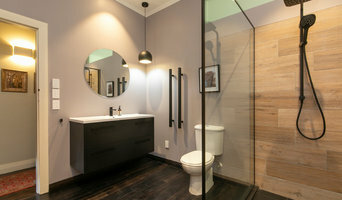 What makes us stand out from the crowd is our professional approach to renovating. We treat every renovation project, whether new or old home, a kitchen, bathroom, basement, deck, extension or whole home renovation, with utmost care and expertise. Dedicated to working with you from concept to actual completion, coordinating and communicating with you every step of the way. Join the ever-growing group of delighted home owners who trust Smith & Sons to redesign and renovate their homes to craft more practical, functional and stylish rooms and spaces. 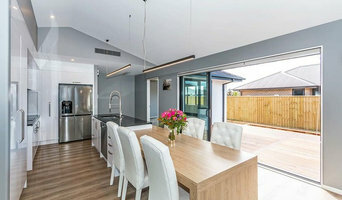 Refresh Renovations is Tauranga's leading design and home renovation builders. Refresh have the experience and expertise to ensure that your home renovation looks fantastic - and is delivered on time and on budget. What some of Refresh clients have to say; "I would recommend Refresh because they are good at problem-solving and look to work with the client to deliver the client’s brief. There are unexpected issues on every build and what separates good builders from bad is the way they communicate with the client when these issues occur. Refresh Renovations excel at such communications so I’d be more than happy to recommend them to others." "Excellent consumer consultation at the beginning of the process and this has continued throughout the renovation. Timelines have been adhered to and all tradespeople have been professional with the delivery of their services. Refresh Renovations have communicated with us every step of the way." David Reid Homes are award-winning design and build specialists. As Wellington Region's most awarded building company over the last ten years, our experienced team of building professionals have a vast understanding of building in the diverse Wellington Region. No two builds are alike – and nor should they be. We work with you to understand your needs, desires and constraints, and then map out a journey based on your situation rather than adhering to a pre-set process. Our services are designed to take you from “Start to finish" , but are entirely adaptable too. If you have a design already drawn up, wonderful, we can take it from there. Or if you’re still tossing up which parcel of land to buy, we can partner with you from the very start. We are a family run business based in the Magical Mangawhai. We specialise in building new homes in Bream Bay, Mangawhai, Waipu, Ruakaka, the Kaipapa district, Whangarei, Wellsford, Dargaville and Maungaturoto. We have a great range of architecturally designed plans available, we can also help you with designing your own home from your ideas. One of our key values is providing quality workmanship on all our jobs, and treating your building project like our own. Our builder has 20 years experience in the building and construction industry which has given him an extensive knowledge base and he is also a licensed building practitioner. We are members of the New Zealand Certified Builders Association and all of our work is backed by the most comprehensive 10 year residential building guarantee. We use only specialist, craftsman skills that predate the current 'stand up' type of construction. Our projects include period restoration, post and beam construction, hand cut roofs and artisan timber work. Firms that can carry out both design and construction take on the combined responsibilities of an architect, draftsman, construction company and additional contractors, providing one point of contact for homeowners. Having one entity responsible for the entire design and build, from estimation to subcontracting and even post-construction, streamlines and often speeds up the project significantly. Having a unified project team can also help you avoid unforeseen costs and delays in construction. In addition, the homeowner only has to interpret one contract with the design and construction firm, and not with various architectural design and contracting professionals. However, depending on the firm, you may still want to contact an interior designer or architect to help create the exact look you want. Here are some related professionals and vendors to complement the work of design & construction firms: Interior Designers & Decorators, Landscape Architects & Landscape Designers, Architects, Photographers.